This bespoke Moduloft project for a property on West Park Harrogate to transform the space above the shop. Moduloft to produce a new self-contained modern apartment above the current first floor flat. Moduloft brief was to build a self-contained apartment that includes living space with kitchenette, bedroom, bathroom and utility room. A special feature for this stunning city apartment will be mezzanine in the upstairs space. Plus a hand made staircase by Moduloft to connect the downstairs to the new second floor apartment. To complete this project there will be a roof top terrace to the side of both apartments, with connecting staircase. The Harrogate project is a unique one for Moduloft, an old style property above an existing shop whereby we will modernise with a stunning new living space. 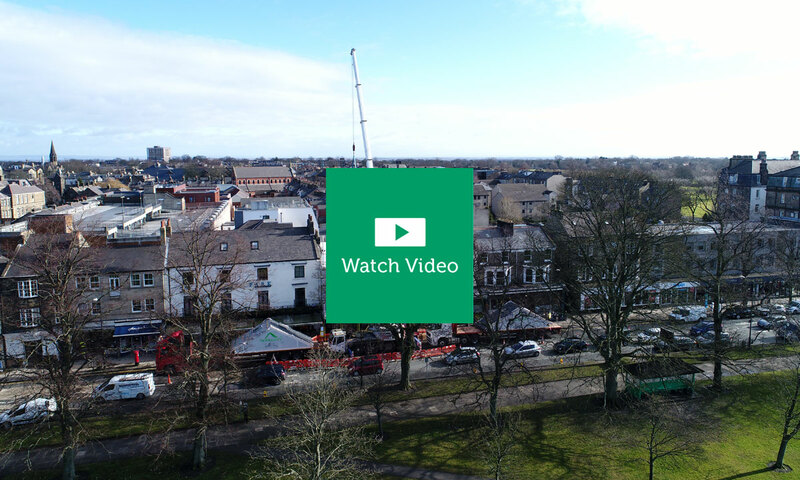 Plus situated within a row of properties and businesses needed careful consideration, so when we delivered the new space on wagons and then have a crane on site, all were perfectly timed and managed by our install team so that we minimized disruption. The new space was built in stages in the factory allowing for our customer to come along and view their new space. 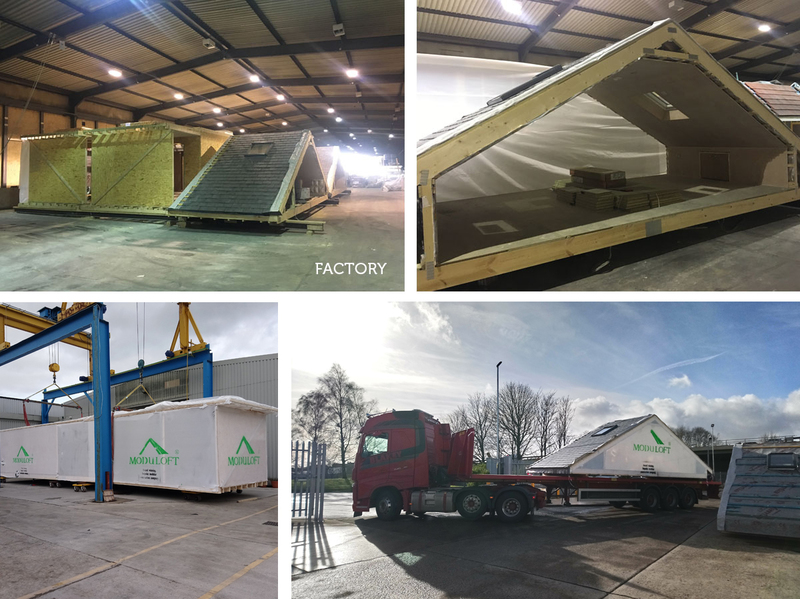 Every Moduloft leaves the factory fully fitted, so electrics, plumbing and fixtures and fittings all in place to further speed up the project completion on site for the customer. This kind of space typically takes 6 weeks to build. Moduloft lift and install in central Harrogate on 20th February 2018. The 4 modules were lifted in hours and we definitely caught the eye of passers by and traffic into Harrogate centre. The lift and install team ensured we limited disruption and it was great to see the new 2 storey space in place by mid afternoon. The install team were then on site for a couple of weeks to complete internal works for the project. Every Moduloft project is bespoke, we are experts in helping property owners gain additional space quickly. Customers benefit from our fully managed service, with experts on hand at every stage of the project from design, build, delivery, lift and install.